In love with your new show-stopper, copper bowl fire pit but still in search of that perfect cover to match the style and luxury of your unit? �Look no further. This 19" by 8.5" round, hammer-finished piece of art comes for the Mesa or Tempe and is sure to give you the pizzaz and elegance your heart desires. 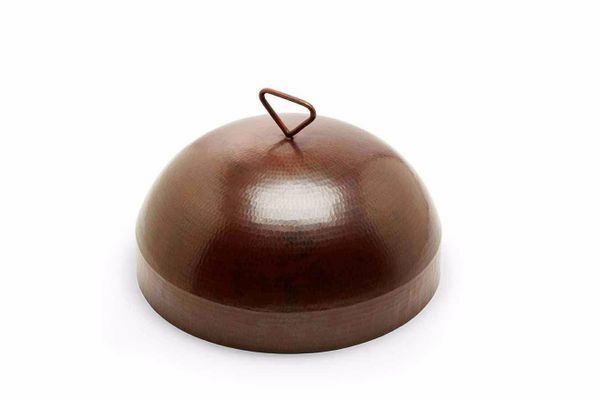 �Weighing only 7.5 pounds with a chic handle for convenient lifting, this copper cover not only turns your unit into an outdoor focal point, but it also provides the protection you need from environmental elements to ensure the longevity of your unit.